We got back from Ireland about 1 month ago. Our trip to Ireland included the Galway International Oyster Festival…well while the event itself was classy…where were the oysters!?!? 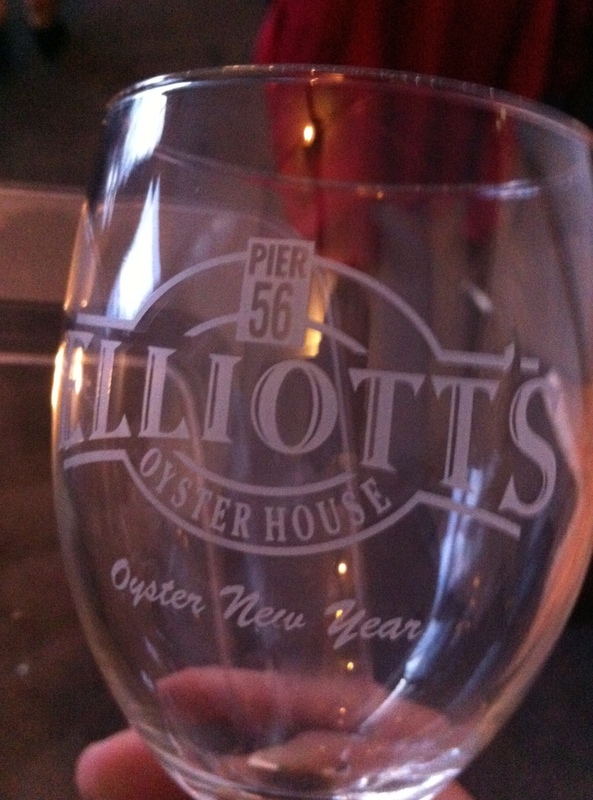 Fast forward to last night, present day, Seattle…Elliott’s Oyster New Year 2012…FILLED with oysters and wine! 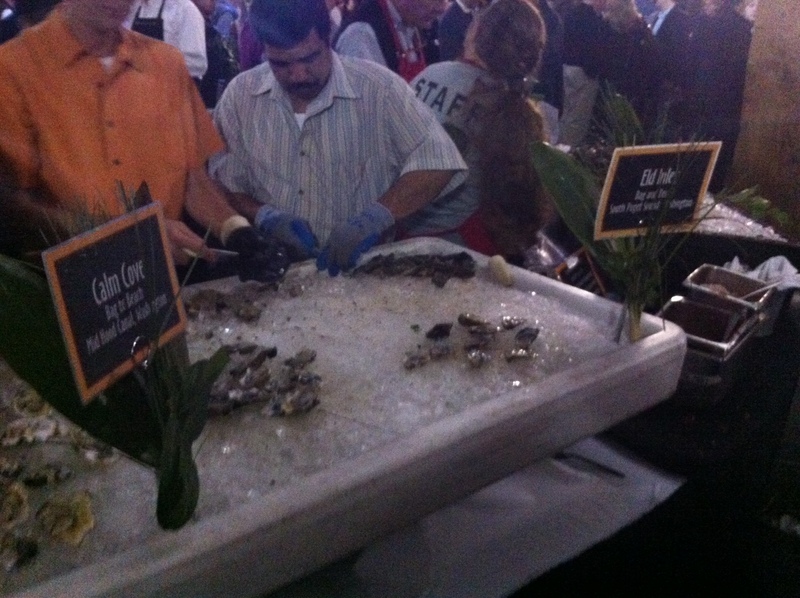 If somehow the two events Galway and Seattle could be combined…that could be the epic oyster lovers mecca! 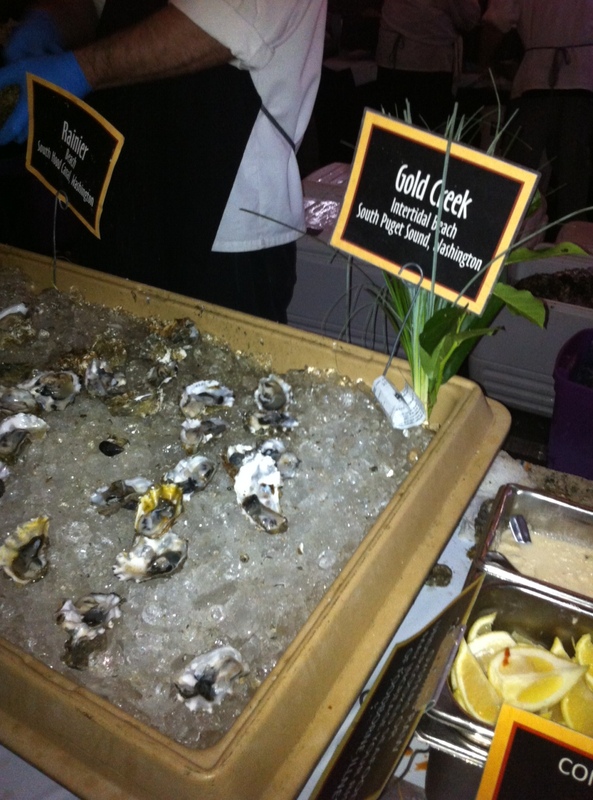 Elliotts Oyster New Year’s is not just a party but a benefit for the Puget Sound Restoration Fund which is dedicated to restoring the Sound’s water quality and native marine species and their habitats. To read more visit t the Puget Sound Restoration Fund’s website. This post will primarily cover our highlights of the night! 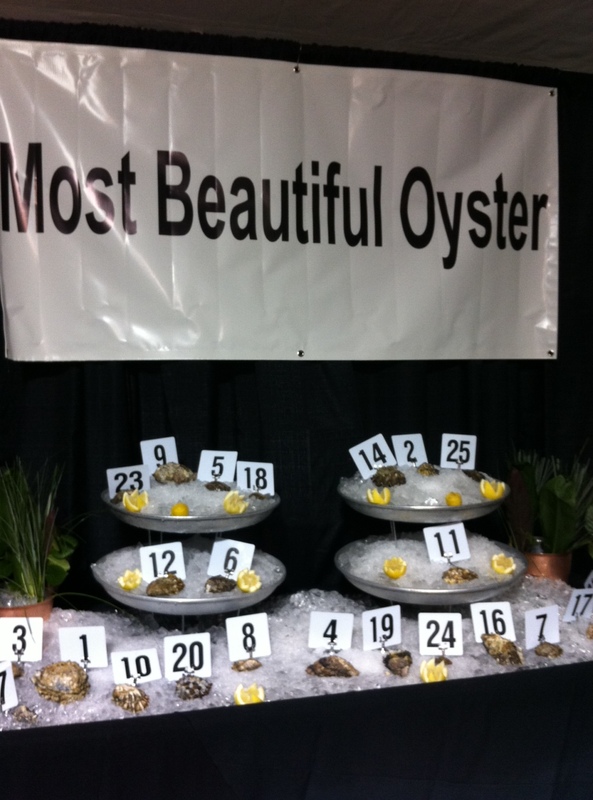 However where ever you are in the world I would highly recommend this oyster lover event! 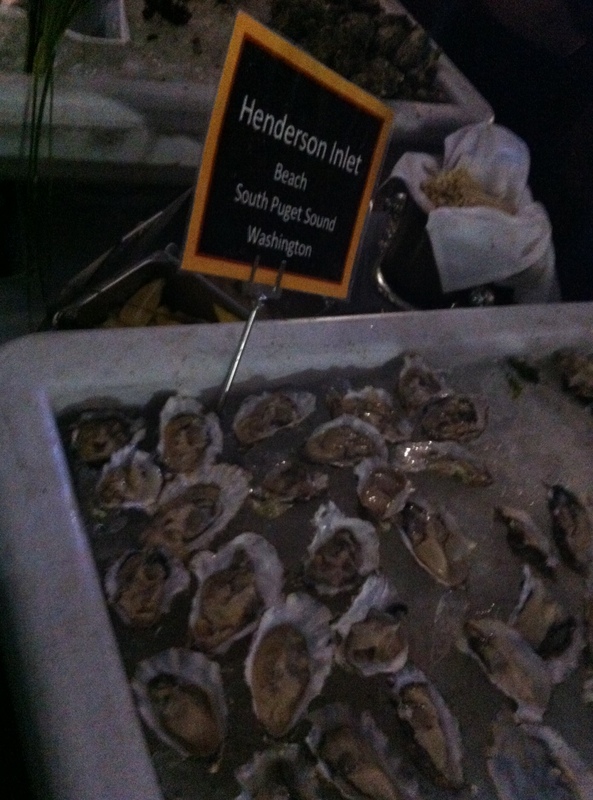 The oysters from the Gold coast of South hood canal Washington were some of our favorite oysters of the night. Penn Cove anything is always at the top of our list as well. We discovered a great wine in Oyster Bay a New Zealand white wine which paired perfectly with the over 6 dozen oysters we ate. A special shout out to Grey Goose who took our night from 0 to 100! 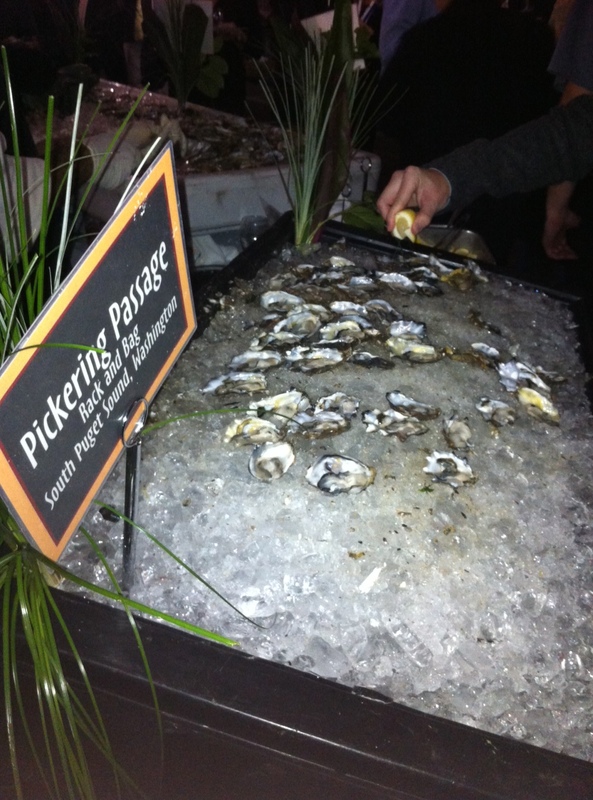 Oyster New Year starts at 5pm (earlier if you purchase VIP tickets) and runs until 9pm ish. Most people quit eating oysters around 8pm….this is where the veterans swoop in, ditch our plastic plates and utilize the entire ice buckets as our plates. Simply grab an lemon (or dont) squeeze onto the oyster you want and eat it right out of the bag, shuckers hand or off the ice. 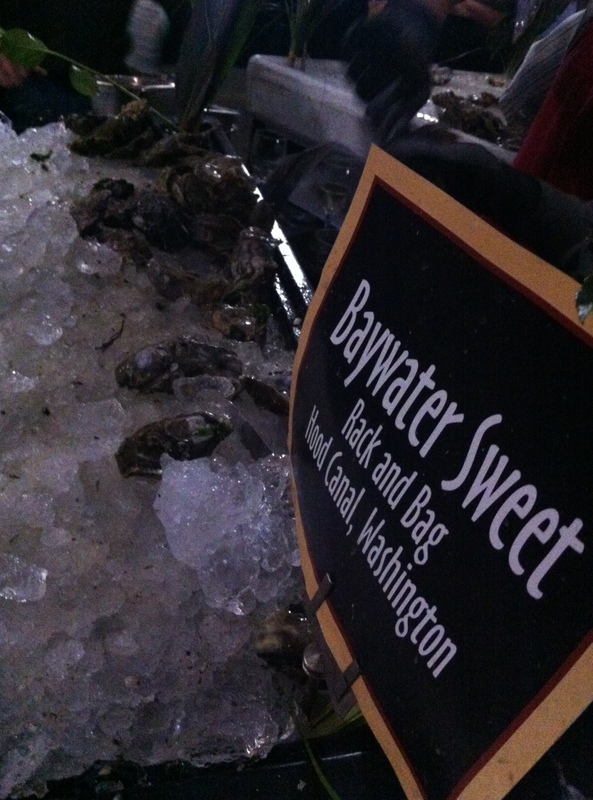 Over 30 types of Oysters from all over the Puget Sound! 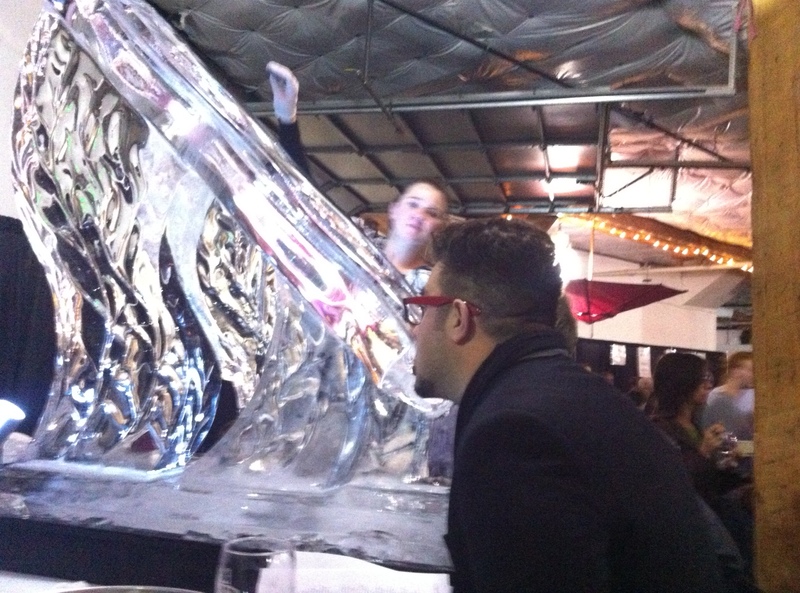 I have been doing the oyster luge since 2005. Tonight was basically tradition. By my 3rd time up I had enough. 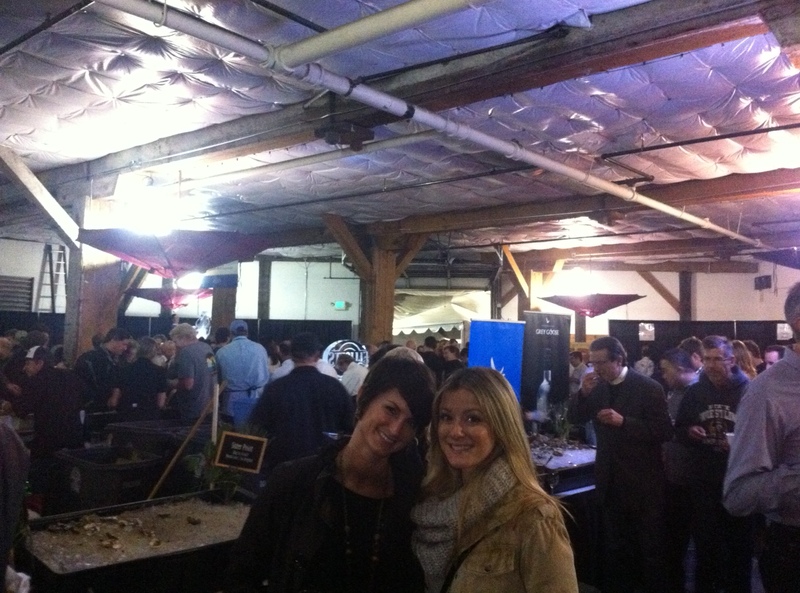 After about 8pm almost no lines and unlimited oysters. Your own 12 dozen! 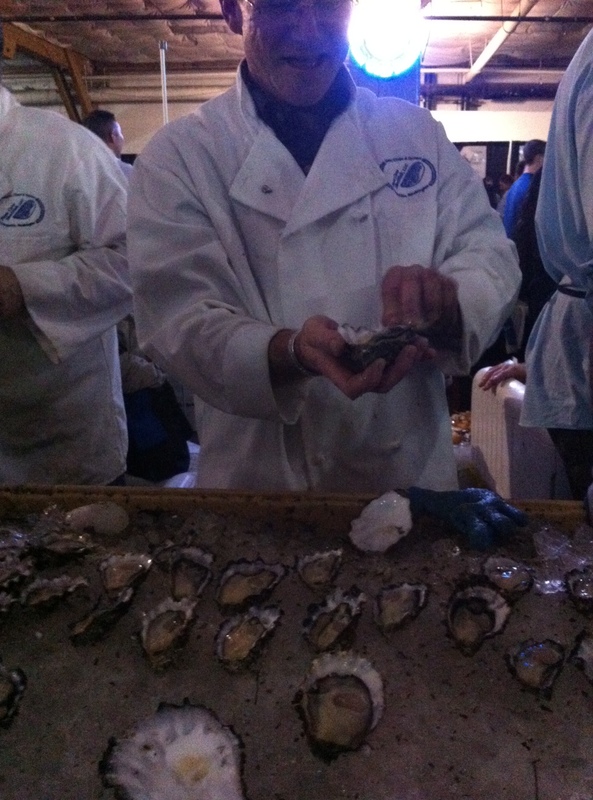 Just so many types of oysters and most shuckers or oyster farmers are on site to talk about oysters! 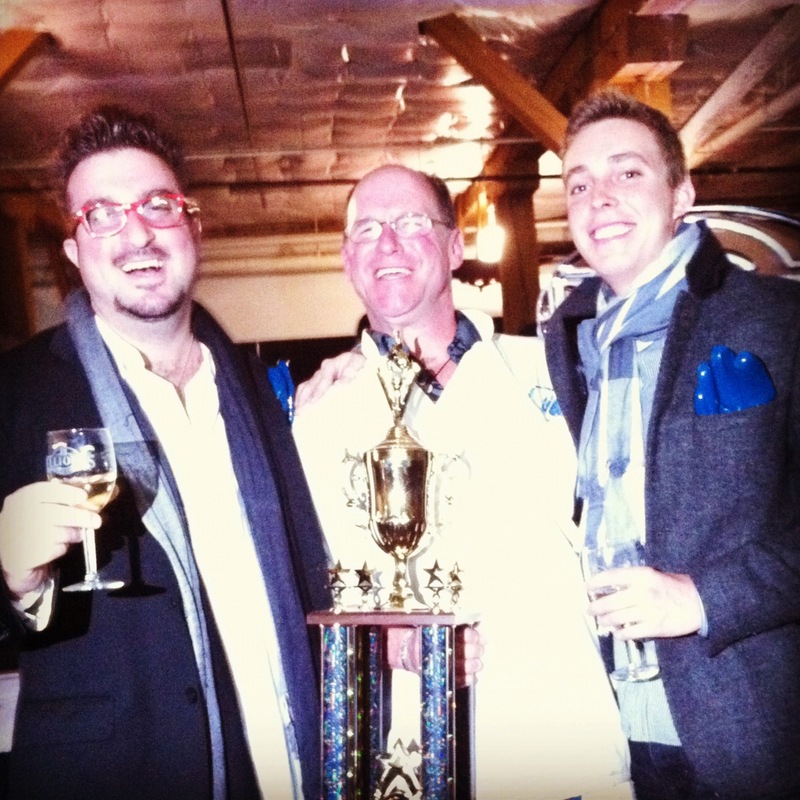 Mr. Penn Cove and the winners circle! 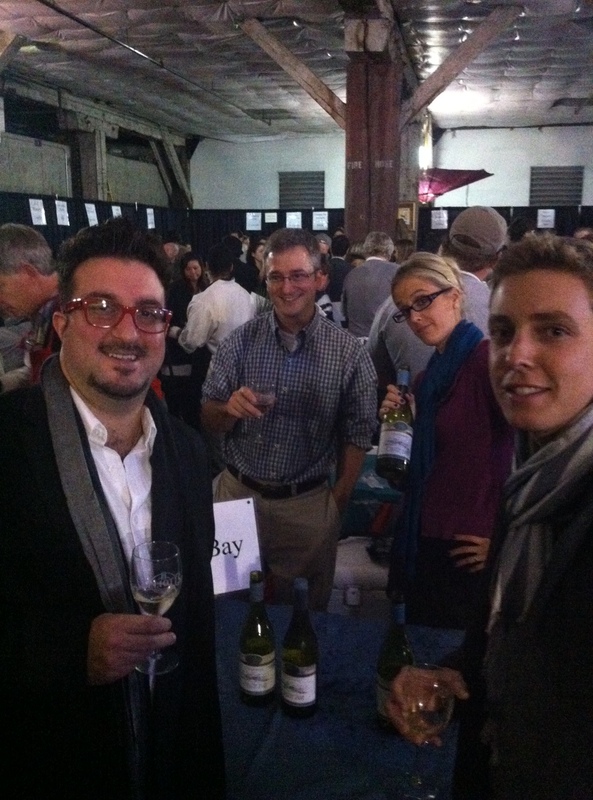 Thanks for a great evening!